I am sure by now we all heard of Gutenberg whether it was positive or negative. In case you did not, Gutenberg is new WordPress editor and it will be released along with WordPress 5.0 this year. To make sure themes are ready for it when it’s launched most of them have done extensive testing and release updates solving compatibility issues. At the moment not many themes added compatibility with Gutenberg and to save you time from researching we have created a list containing the best 20 WordPress themes compatible with Gutenberg. All you have left to do is go through all of them and choose the one you like the most. Happy hunting! 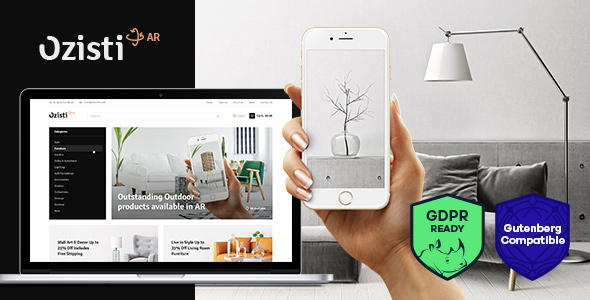 If SEO optimization and loading time is an important factor for you, then the eCommerce theme Gutenshop by SuperbThemes might be a perfect fit for you and your website. The theme is driven by built-in WordPress features in conjunction with WooCommerce so you don't need to load extra code from external libraries or plugins. It's a unique approach, that gives you the opportunity to have a website that loads much faster than your competitors, which can give you an edge in search engines. WordPress 5.0 introduced a newer and more advanced text editor called Gutenberg. Gutenshop is built around it as the name suggests. Instead of using a page builder plugin, you can choose to solely use the new text editor and create your dream layout with blocks. That being said, on top of being built around Gutenberg, Gutenshop is also compatible with all popular page builder plugins. SuperbThemes offer both a free and a paid version of Gutenshop which means that you can test the theme and most of its features without investing much time or money. Mae is one of the newer WordPress themes compatible with Gutenberg. Because this theme is so new, it has a modern design and features making it suitable for various industries. Mae includes several blog page layouts, MailChimp, PSD files, unlimited colors, masonry grids, and a detailed documentation. Mae is an intuitive and user friendly theme, but in case you run into trouble you can always reach out to their dedicated support team available 24/7. Impress your visitors and get above the competition with Mae! 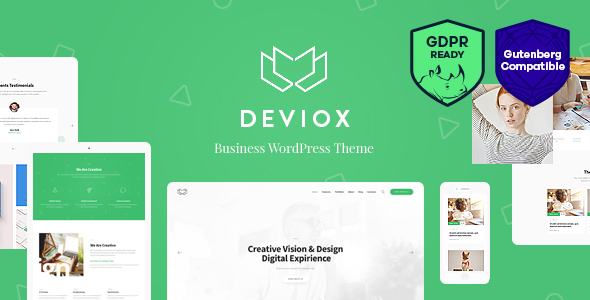 When it comes to WordPress themes compatible with Gutenberg Deviox is the one to beat. Deviox is a business theme but it is adaptable enough to handle any type of website thanks to its beautiful design. You can install the demo content in just a few seconds and then adjust where you deem fit. If pre-built layouts are not your cup of tea you can easily create layouts of your own using the theme’s features. Deviox is compatible with all popular plugins, comes with custom post types and layouts, has a sidebar manager, and is SEO optimized. Deviox is a great theme! 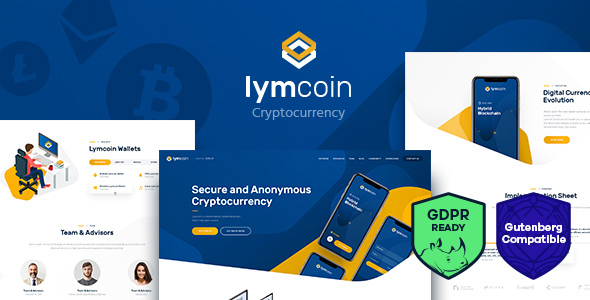 Lymcoin is a rather new theme developed by AncoraThemes mostly designed for cryptocurrency related websites. However, thanks to its design and customization option Lymcoin can be used for any type of business. Lymcoin is integrated with WPBakery page builder to allow its user to create custom layouts from scratch. Also, the theme itself has many options and tools for customization purposes without having to code anything. Other cool features of Lymcoin are the parallax effects, shortcodes, mega menu, sticky menu, Google maps, and more. Generate more page views with Lymcoin! 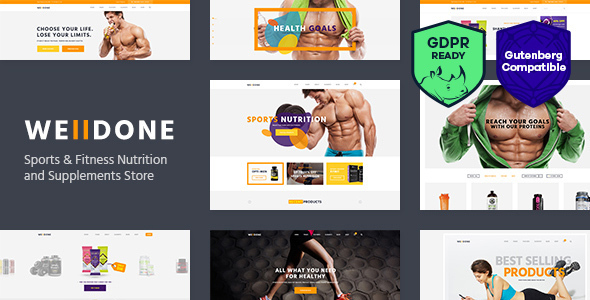 Welldone has been designed for fitness and sports websites and has only recently been to the WordPress themes compatible with Gutenberg category. Welldone is a great looking theme and no matter the type of sport related website you have, this theme is sure to improve it. 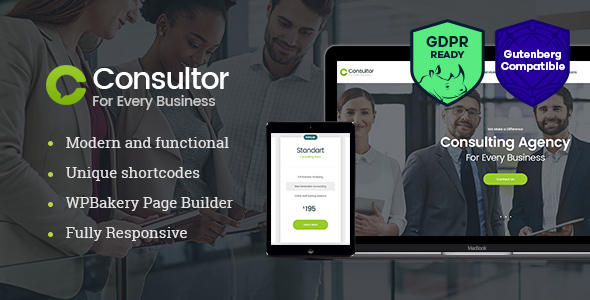 In fact, Welldone comes with GDPR regulations, WooCommerce compatibility, stunning demo layouts, sticky menus, page builder, flexible colors, back to top button, video slider, and one page site options. The mobile support extends to all the theme’s features and no matter the size of the device used. Check out Welldone! Ozisti is a multi-purpose WooCommerce compatible theme fully responsive and optimized for search engines. If you are searching for a theme that will increase your site traffic, then you should consider Ozisti. To help you set your website, Ozisti includes 4 pre-designed homepages and 9 blog pages. It does not matter what type of content or products you are promoting, Ozisti’s demos will help you get started. This theme also gives you access to an online currency switcher, wish lists, compare lists, categories management, GDPR compliance, and the option to add augmented reality. As far as WordPress themes compatible with Gutenberg go, Ozisti is on the top! 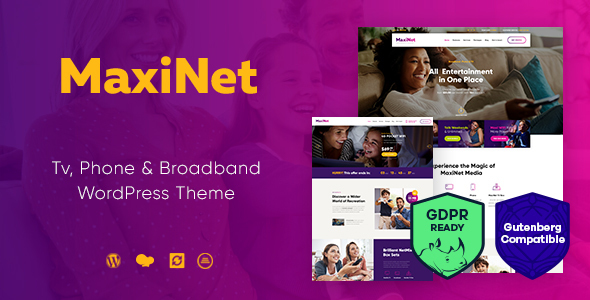 MaxiNet is not necessarily among the most popular WordPress themes compatible with Gutenberg, but it is an extremely customizable and easy to use theme. MaxiNet contains 2 popular sliders, retina images support, customizable header and footer, related posts, custom post types, pre-built pages, and various Google fonts. MaxiNet performs very well on speed tests and mobile devices. Fans of Gutenberg will love MaxiNet. If you are looking for a WordPress theme compatible with Gutenberg then you should pick Hoverex. Using this theme you will be able to create a professional and profitable website for your business. 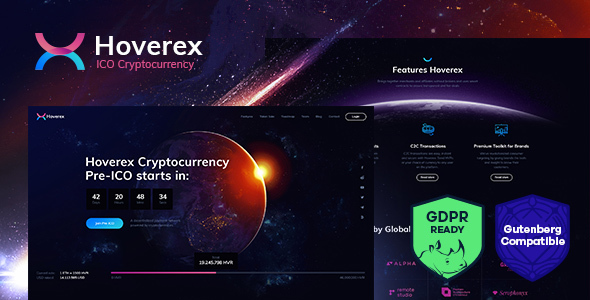 When it comes to Hoverex features we have to focus on the advanced charts, tables, and diagrams, donation and token sales, pre-made road maps, pre-designed page templates, demo content, parallax effects, typography options and colors, post animations, custom widgets and shortcodes. To help you bring more traffic to your website, Hoverex has been fully SEO optimized. Drone Media is the perfect theme to create custom and unique websites. 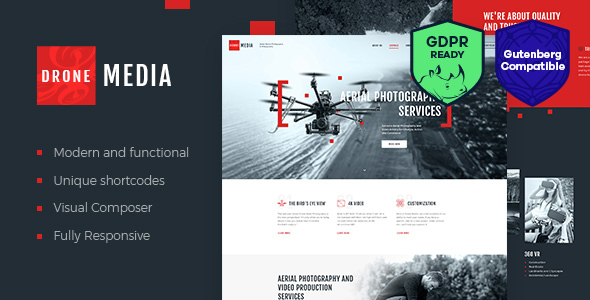 Drone Media is also one of the few WordPress themes compatible with Gutenberg. This theme was perfected for aerial photography but if you are one the creative side you can easily turn it into anything. Drone Media comes integrated with Visual Composer giving you free reign over your pages’ layouts. If you are in a hurry or lack inspiration you can also choose one of the pre-made templates. There are also builders for both header and footer. Create a distinctive website with Drone Media! Consultor is an excellent and elegant WordPress theme that offers compatibility with Gutenberg. Using this theme you will have the chance of developing a successful and attractive website. The features covered in this theme are user and main menus, one click demo install, Slider Revolution and Swiper slider included, boxed and full-width layouts, header and footer builder, blog layouts, and more. To put it simply, Consultor offers over 750 customization options in the theme’s panel. Take the opportunity and choose Consultor! 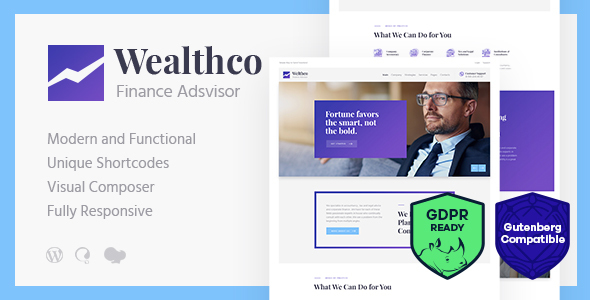 WealthCo is a modern and new theme that jumped on the WordPress themes compatible with Gutenberg train. Whatever you plan on building WealthCo can prove to be an indispensable ally especially if paired with Gutenberg. WealthCo is GDPR compliant and comes with various financial and consulting features. You also get pre-built pages, a one click installation content, Addons plugin, mobile friendliness, and a footer and header builder. Adjusting this theme is a piece of cake and can you will be done with just a few clicks. WealthCo is a handy tool! Flamini is a beautiful and responsive WordPress by TommusRhodus. Flamini is advertised as fully compatible with Gutenberg and is versatile enough to create professional websites for all types of businesses. Among its many options you can find 4 homepages, 5 portfolio layouts, 12 columns grid layout, various Google fonts, Ajax powered contact form, social sharing integration, and an online documentation. The theme is built to be as responsive as possible and they also focused their efforts on SEO friendliness. There are not many WordPress themes compatible with Gutenberg at the moment, but Tabor is one of the best. Tabor will help you set up your website as quickly and easily as possible. Features and design are not always everything, and you also need to be on the look-out for SEO optimization which Tabor offers. Therefore helping you get more traffic on your website and in return generating profit. Tabor’s design can be described as modern and clean being suitable for any type of content. Build an attractive blog with Tabor! Daisho is a portfolio WordPress theme that comes compatible with Gutenberg. If you choose to set up your website using Daisho you will get access to demo versions, portfolio and category filter, video support, several unique sections, social sharing, blog page, and SEO optimization. No matter the type of content you are promoting, Daisho will help you make it interesting and enjoyable for your audience. To keep it professional, Daisho is fully responsive and looks impeccable on all devices. If you want a fast loading and optimized theme check this one out. 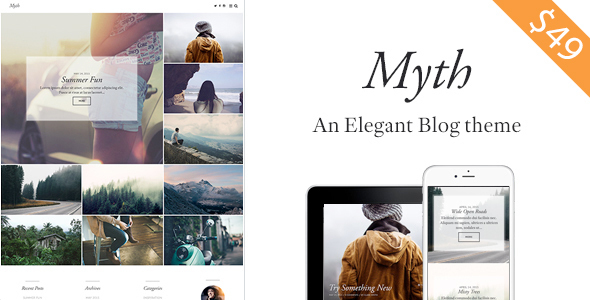 Myth is an outstanding and intuitive blog WordPress theme. This theme released an update making it compatible with the Gutenberg editor. The core features found in Myth are grid layouts, lots of featured image controls, ambient video, header and menu customization options, typography options, Instagram support, WooCommerce support, custom menu, shortcodes, and retina ready support. With these features you can create a wide range of layouts for any type of blog. Give Myth a closer look to find out what other features it offers. Princess is one of the WordPress themes compatible with Gutenberg that was recently updated specifically for this purpose. Princess can help you launch a new website in a few minutes and it has a lot of features to offer. With Princess you can import the demo through a one click installation, create page templates using the included page builder, create an online shop, add video and image slider, select from various header styles and pre-designed page templates. In addition to these impressive tools, Princess is also mobile friendly and optimized for search engines. Try out one of the best theme in this collection! Like many of the WordPress themes compatible with Gutenberg on this list, Umbala is versatile and has a clean and professional design. Umbala was not designed specifically for a certain domain or industry and it can be adapted to various niches. 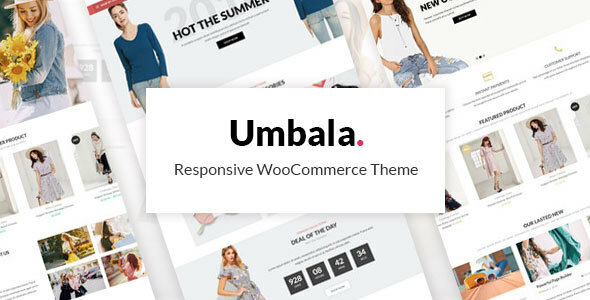 Amongst the most powerful features Umbala has are 20+ homepage designs, mobile header style, Ajax search, color swatches, WooCommerce support, 20 shortcodes, drag and drop page builder, and custom sidebars. Try Umbala today! 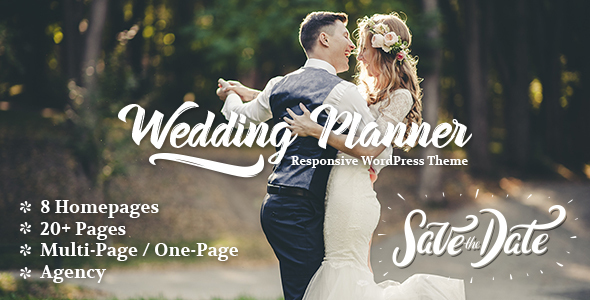 Wedding Planner is a popular wedding WordPress theme with a great potential and a gorgeous design. To make sure it is fully compatible with Gutenberg the theme’s developers released an updated containing support for it. Some of the theme’s features are 8 unique homepages, 20+ pages, multi-page and one page layout, beautiful portfolio styles, blog styles, Visual Composer, support and updates, custom sidebars and widgets, and 40+ modules. Another thing worth mentioning is that this theme is speed optimized and loads really fast no matter the layout. Build your dream website with Wedding Planner! 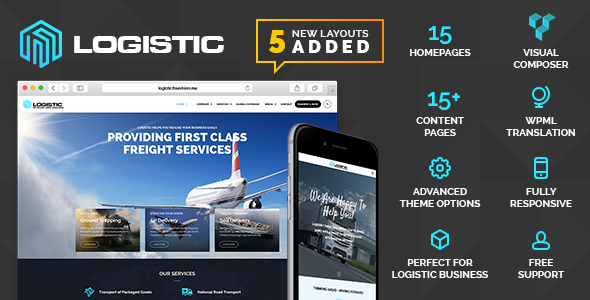 Logistic is a transportation WordPress theme that comes packed with a bunch of features and tools. The only way to truly see all its features is to try it out. However, to summarize them here are a few: 15 pre-designed home page layouts, integrated Visual Composer, 15 content pages, translation ready, mobile friendly, unlimited skins, retina ready icons, full documentation, advanced typography options, demo content installer, Revolution Slider included, sidebar manager, and much more. The theme’s admin panel gives you enough flexibility to create custom transportation related websites. You can do anything with this theme – try it! If you are interested in WordPress themes compatible with Gutenberg you should check out Salon. Using this theme will allow you to build a website in 10 minutes take or give a few minutes. 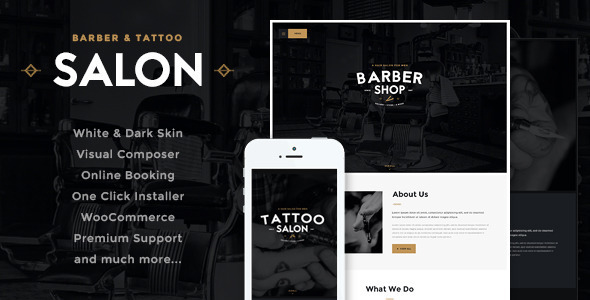 Salon includes multiple pre-made demos you can choose from, pre-built inner pages, portfolio layouts, blog styles, full-screen navigation, Visual Composer, appointment and booking manager, 40+ shortcodes modules, and more. Additionally, Salon is SEO optimized in order to increase traffic and conversion rates. Last but not least on our collection for WordPress themes compatible with Gutenberg is WP Education. This theme is perfect for building educational websites because it includes all the necessary tools such a website needs. WP Education comes with custom shortcodes, profile page, LMS statistics, unique sections, mobile friendly design, LearnPress, WooCommerce, and more. 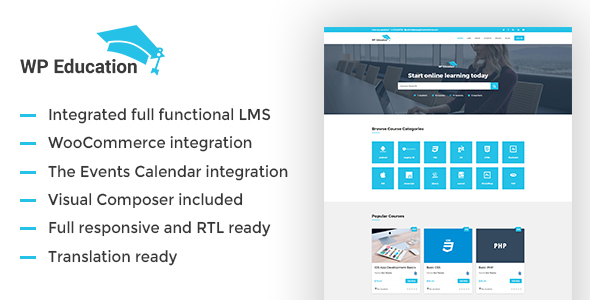 To give you full control over your layouts, WP Education includes Visual Composer. Create a dazzling website in no time at all with WP Education! Great job! You have reached the end of our article containing the best WordPress themes compatible with Gutenberg. If you know themes that are compatible with Gutenberg and not on this list let us know and we will add them!